Located on a .7-acre site, this very custom, non-prototypical exterior design underscores the technological vibe of Cupertino. Clean lines and integration of granite stone, limestone plaster, and glass give the building texture and reflect a high end urban character. An outdoor patio engages pedestrian traffic along the street. Other features include a fountain off the indoor lounge and local artist's sculpture depicting the first message sent over the internet. The 123-room hotel next to the Apple campus consists of a four-story building over a one-level basement garage and contains a bar, lounge, restaurant, meeting rooms, fitness center, and outdoor swimming pool in a central courtyard. 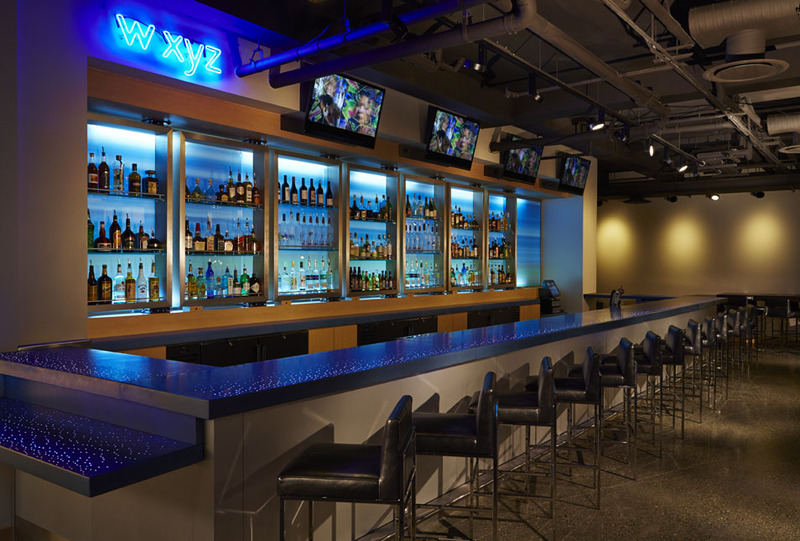 Interior spaces are open and flow together to create an energetic social atmosphere for guests. Interior design is modern yet edgy with its bare concrete floors, LED lights, and pops of color. 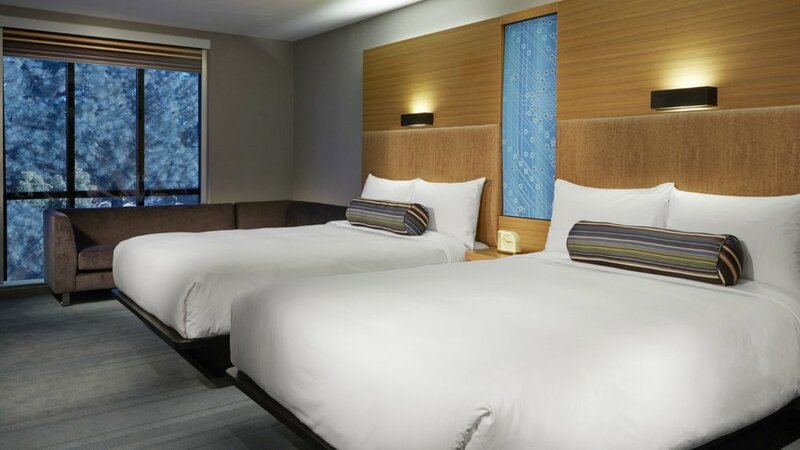 Guestrooms have a clean contemporary feel with crisp details and enhancements for technology savvy travelers.